*  to serve as a compiled JavaFX Script example. 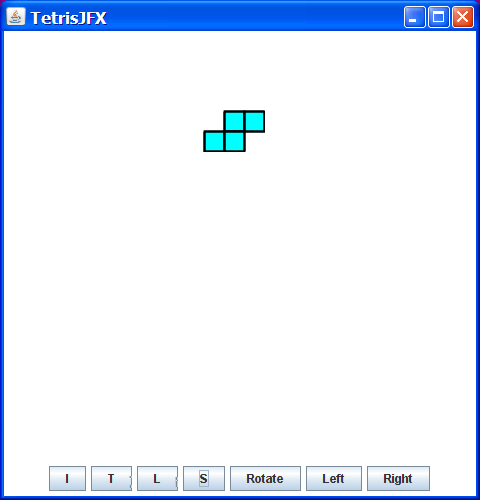 I made the TetrisShape class a custom graphical component. Therefore, it is a subclass of the CompositeNode class, and overrides the composeNode function. Note: There is a typo in line 62 of the TetrisShape.fx listing. "returnreturn" should read "return". It will be corrected ASAP.